Schedule an appointment and learn how you can feel, act and even look more like yourself again. Treatment and services available for both women and men. believe that sexual health is an important aspect of every person's quality of life, no matter your age or past experiences. For close to three decades, Dr. Randolph and his team of medical professionals have been internationally recognized as medical pioneers in the fields of anti-aging medicine. Dr. Randolph’s Ageless & Wellness Medical Center emphasizes an integrated approach to health and wellness. Our practice, located in Jacksonville Beach, Florida, is nationally recognized as a Center of Excellence in the field of natural, bioidentical hormone replacement therapies (BHRT). We offer age management medicine for women and men, as well as comprehensive gynecological treatments and procedures for women. 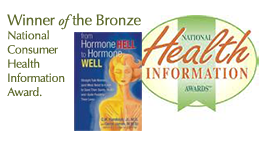 Learn more about BHRT for women and for men. Dr. Randolph’s Pharmacy is Florida’s premier full service onsite dispensary of personalized bioidentical replacement therapies for women and men. Dr. Randolph personally develops the formulations for all in-house compounded prescriptions. In addition, we offer physician-only pharmaceutical-grade brands of vitamins and supplements at our Wellness Store in Jacksonville Beach, as well as online at Dr. Randolph’s Wellness Store. We invite you to join thousands of women and men who have discovered a Better Way to Better Health and Optimal Aging through our holistic approach!